Chorley Building Society offers a wide selection of mortgage deals through its partnership with the Cooperative Bank. You can compare the mortgages offered by Chorley Building Society with over 5,000 of the latest mortgage deals using our FREE online mortgage calculator. Get advice from qualified mortgage advisers, tailored to your circumstances. A personal service - giving you a single point of contact throughout the application process. 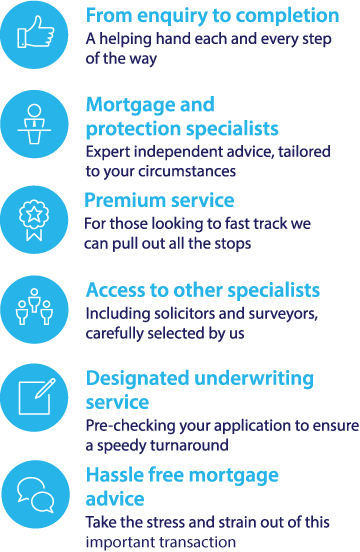 A flexible approach to underwriting – each mortgage application is considered on a case by case basis and there are no automated decisions. Mortgages available with a loan to value ratio (LTV) of up to 95%. Special offers and discounts on legal fees and valuations. Portability – keep your existing mortgage when you move to a new property. Flexibility – make overpayments when it suits you. Standard variable rate mortgages – the interest you pay on this type of mortgage will follow the Chorley Building Society standard variable rate (SVR). Discounted mortgages – benefit from a discount on the Chorley Building Society SVR for a fixed period. Self build mortgages – get a mortgage at up to 80% LTV to help you build your own home. The Chorley Building Society began life in 1859 and was originally called The Chorley Permanent Benefit Building Society, created to help local workers buy their own homes. To compare Chorley Building Society mortgage deals with other leading mortgage rates on the market, and to find the best deals for you, you can use the mortgage calculator to search over 5,000 mortgage offers based on your personal circumstances.